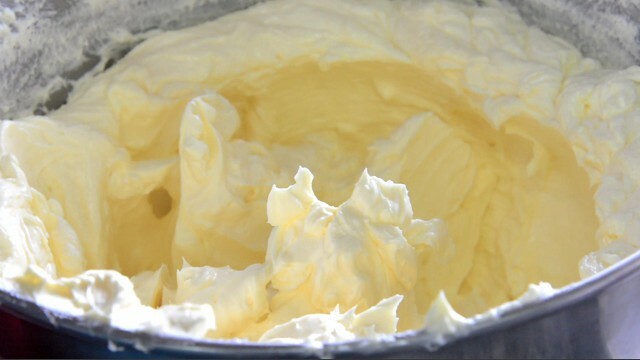 Butter cream is one of the few basic creams which have been used for centuries in cake filling and masking. 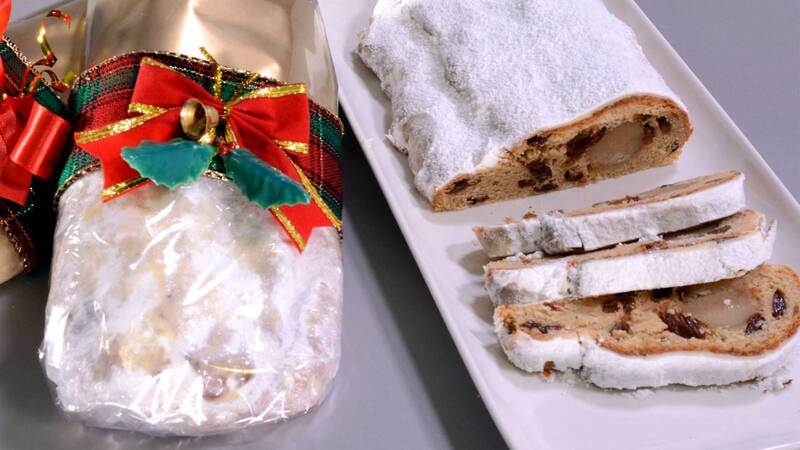 Basically, it is a whipped butter with the addition of sweet components like icing sugar, fondant etc. 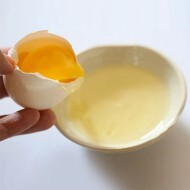 Egg is not used in every butter cream but it has the duty of making butter cream more lighter and tastier. Lightness also come from the amount of whipping time which puts more air in to it. Having said that, smooth butter cream should not have much air, especially for masking. You can flavour butter cream easily with coffee, chocolate, nougat, lemon paste and so on. Pretty much any kind of flavouring which has a very low water content is ok. It is a little more tricky to use fresh fruit. Fresh fruits must be cooked first to remove the water content as much as possible. This will take away acidity from the fruit as well so to regain that fresh acidic bite, a few pinches of citric acid powder can be added. There are four different main methods of making butter cream. Each with their own national identities. Butter whipped with hot syrup meringue. I wouldn’t call my recipe Italian because I do not boil my sugar syrup to add in to egg white but this method is probably the closes to mine. Butter whipped with custard cream. No eggs used. Icing sugar or fondant, maybe some milk or cream added. A 250	 8.8 ounces Egg White Egg white is the common name for the clear liquid (also called the albumen or the glair/glaire) contained within an egg. In chickens it is formed from the layers of secretions of the anterior section of the hen's oviduct during the passage of the egg. It forms around fertilized or unfertilized egg yolks. The primary natural purpose of egg white is to protect the yolk and provide additional nutrition for the growth of the embryo (when fertilized). Egg white consists primarily of about 90% water into which is dissolved 10% proteins (including albumins, mucoproteins, and globulins). Unlike the yolk, which is high in lipids (fats), egg white contains almost no fat, and carbohydrate content is less than 1%. Egg whites contain just over 50% of the protein in the egg. Egg white has many uses in food (e.g. mousse) and also many other uses (e.g. in the preparation of vaccines such as those for influenza). Pure - No trace of egg yolk. 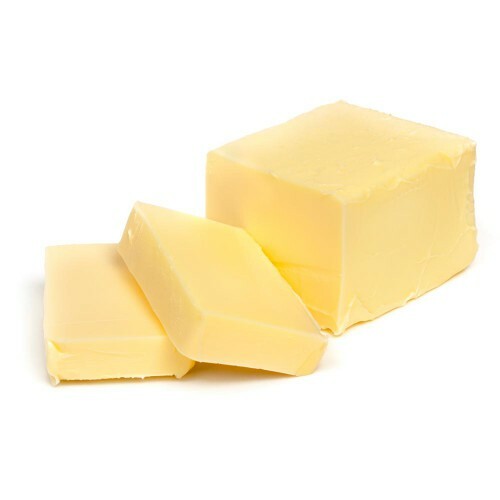 C 750	 26.4 ounces Butter Butter is a solid dairy product made by churning fresh or fermented cream or milk, to separate the butterfat from the buttermilk. It is generally used as a spread on plain or toasted bread products and a condiment on cooked vegetables, as well as in cooking, such as baking, sauce making, and pan frying. Butter consists of butterfat, milk proteins and water. Room temperature / small cubes. 2	 MIX	 Mix the egg white and sugar in a bowl. 3	 HEAT	 Place the egg white and sugar (mixed) onto a double boiler. 4	 WHISK	 Whisk the egg white and sugar until the sugar is dissolved. 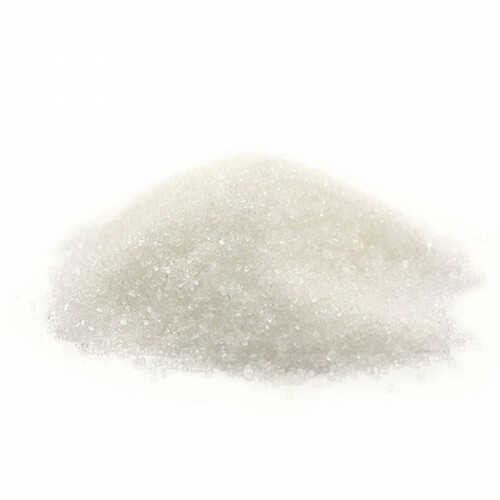 You should not feel grains of sugar in between two fingers. 5	 POUR	 Pour the mixture into a mixer. Palette attachment. 6	 WHIP	 Whip the mixture for 4 minutes on high speed. White meringue. 7	 ADD	 Add the cubes of butter one by one. Looks split. 9	 STORE	 Store butter cream in an air tight container. You must store butter cream in the fridge. 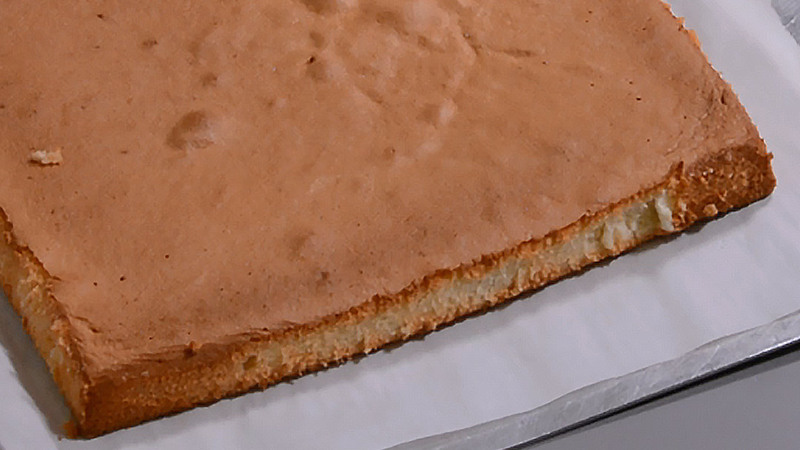 Cakes that use butter cream can be kept in air conditioned environments for a few days but this depends on hygienic preparations as well as other components of the cake. Make your decision responsibly. Butter cream removed from a fridge can be shortly microwaved and re-whipped with a mixer. Microwave only to soften a little bit. Do not over heat it or it will be too runny. If you try to achieve a so called crusting butter cream, normally there needs to be a sugar content that is 3 times more than the fat content. By adding an additional 500g to 1kg of icing sugar, (depending on how sweet you want to have your cream) you can achieve some crust which allows for a touchable surface. Don't forget, more crust means more of a sweet taste. An arrangement whereby mixing bowl sitting on top the cooking pot. The lower pot is used to hold simmering water, which gently heats the mixture in the upper bowl. Boiling water in the pot should not touch the bottom of the upper bowl. Double boilers are used to warm or cook heat-sensitive food such as custards, delicate sauces and chocolate. In this recipe, it is used for heating the egg white sugar mixture. Any of those flavorings will work, please see the recommended amount. Gel color is better . Any time you can add. Under the fondant ganache is still the best even you use buttercream inside. Where would I find the German buttercream recipe. Also the German buttercream cover cakes the same way, or does it get firm in the refrigerator like the others? Hi Mr. Yener, I am a new one on your website ! So, I have just made your recipes of Butter cream. It is so smooth …. I can’t wait to put this on a cake!. I write to you because when I follow the receipe, I have notice that I did not know when I should add the vanilla powder ? (I use a liquid one). Thank you very much ! Hi 😊 thank you for making me interrested in decorating cakes. For the first time om ny life I could make beautiful cakes to my fift childs confirmation. All thanks to your videos. I am now rehersing to make boatcake to ny husbond. Just for fun. Yesterday I should make this buttercream. I redused the recepy to 0.25, since I’ll not going to make a ton ofte cakes, just rehurce on big cupcakes. But the buttercream tasted not so good. I then discovered that I had used the original wight of butter. I am no going to make the mix og of eggwhites and sugar with that wight that lasts for full recipe, and then put in the buttercream I made yesterday instead of butter. I hope this will work. Then I can make several flavours and put in the freezer for later. Maybe I write as a comment underneeth how og worked. I really love your videos and tutorials. You make it seem so easy. What is the best brand chocolate to use? Also can shortening be used to make buttercream if you are living in a tropical climate like the West Indies. Hi Cherryl, how can I advise you which chocolate to use, I never been in West Indies. For buttercream, you have to use butter, otherwise, you can not call buttercream. If you really want to use something else Crisco is good because it is white. Okay, now I understand. There is no exact proportion for the best result. I would do 1 to 1 if I use for inside the cake and mixing other flavours but I would do 1 custard cream 2 butter for masking the cake, it will be whiter and smoother. 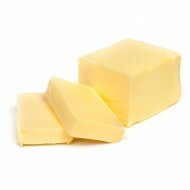 and one another question.i use animal butter or plant(margarine)butter? Butter produced from cow milk please. hi YENER its the recipe to mask a cake after fondant? Hi , I will not mask the the cake with butter cream after fondant.If you like to do that do that after ganache or also butter cream. I have pasteurized egg whites. Can I skip mixing the egg whites with sugar over fire to sterilize it? Yes but . If you have to whip a meringue you have to melt the sugar in egg white over the double boiler anyway. 1. 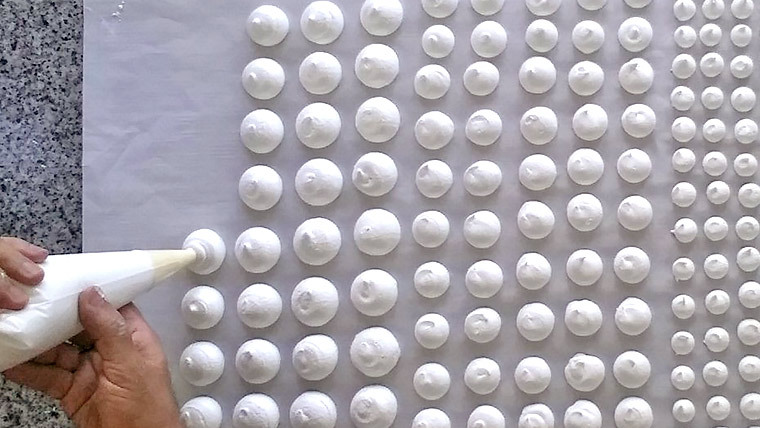 The ideal thing is after fondant the cake stay and decorated in air condition room (max 22 C). 3. If longer use ganache also inside. I love your buttercream icing and it is very easy to follow the instructions. i have even made buttercream with cornstarch syrup and italian meringue buttercream. I made double the batch using your recipe and i am not getting the stiffness i have achieved before. what can i do to make it a little stiffer. i would like to use this tomorrow. should i make a little more meringue and add to the twice the amount i have made. I am storing it in a air tight container in the fridge and want to re whisk it to see if i can stiffien it a little more. it peaks but the whole product is floppy when stir with a spetulla. i am making a school bus cake for my grandson and traveling from Rochester NY to Toronto Canada at least 4 hour drive and have 3 days to make it. i only work on the cake after work so have few hours a day to work with it. and i do not want to waste the supplies i have used which is a lot of butter. The stiffness of buttercream is depending on 3 things 1. how much air been injected that mean how long whipped so less whipping is stiffness 2. How cold is the finished buttercream so if it is too soft keep it for a while in the fridge and slowly mix again without whipping. 3 . How much sugar in the recipe. When you finished my recipe which is 1xeggwhite-2xsugar-3xbutter you can fold more icing sugar into it as much as another 2 times . That makes the recipe little more sweet but stiffer at the same time. My last advice is you can also add a little-modified starch while you whipping. Hope this helps. Hi Biljana I did not understand the first question. Chocolate skin is brushing or scraping chocolate on outside of the cake to create firm skin . This will help avoiding air bubbles and resistance agains pushing with fondant leveller . You need one or two more coats of ganache or butter cream before fondant. if I may interject our climate is mainly hot rather than cold and sometimes in between(rain/sunshine) my first experience with ready made buttercream taught me to use a little less of butter required by the recipie when I’m making homemade also to pay careful attention when mixing with the electrical appliance at short intervals check to see the level of stiffness you desire to restore a pronounce butter taste i add a little wiltons’ butter flavour and i do add some cream of tarter the results have been astonishing.Hope my imput helps. Hello Yener. 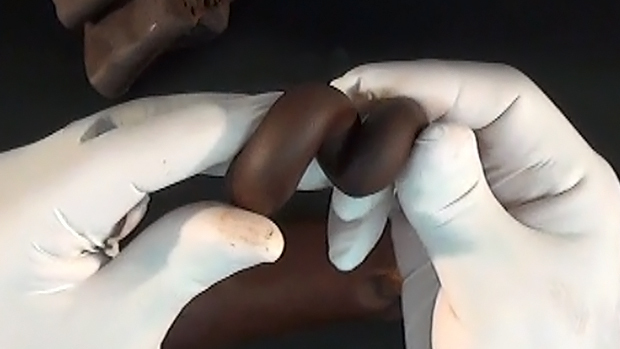 What type of chocolate is used for the chocolate skin meaning what percentage or does it matter? I’m wondering what you think of adding shortening to the buttercream, in place of some of the butter. In my experience, it does take away from the flavor a little, but it helps keep the buttercream from melting in the heat. Yes . I would say up to 50 percent REPLACE butter. Hi Yener, I watch you wedding cake tutorial, what do you use as a crumb coat and what fondant do you use to travel with the cake without problems. Hi Yener, I live in Singapore and using English/American buttercream is a pain because it melts, will this recipe of your holds its shape? yes i think so . you have to work in air condition room then is no problem..